As far as rallies go, Sno*Drift was pretty gentle on the cars, but that doesn't mean there weren't any snowy crashes. 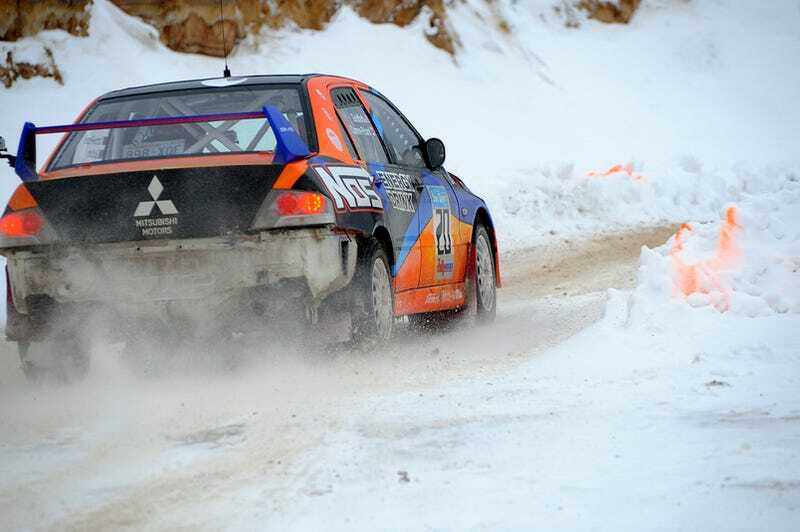 Our teaser gallery of ice-encrusted rally cars below. Pricey rally cars eating snowbank is a perennial favorite up here in freezin' Atlanta, Michigan at the Sno*Drift Rally. Consider this a teaser for the massive, steaming pile of coverage we're about to bestow upon the internets. At the moment, we're digging through the 10 gigabytes of tasty action shots and miles of HD videotape we captured in the past weekend. To whet your appetite for now, please accept this epic shot we've lovingly placed below for your consumption. To follow all of our obscene coverage of Sno*Drift and the rest of the scene from here on out, hit the RallyAmerica tag.